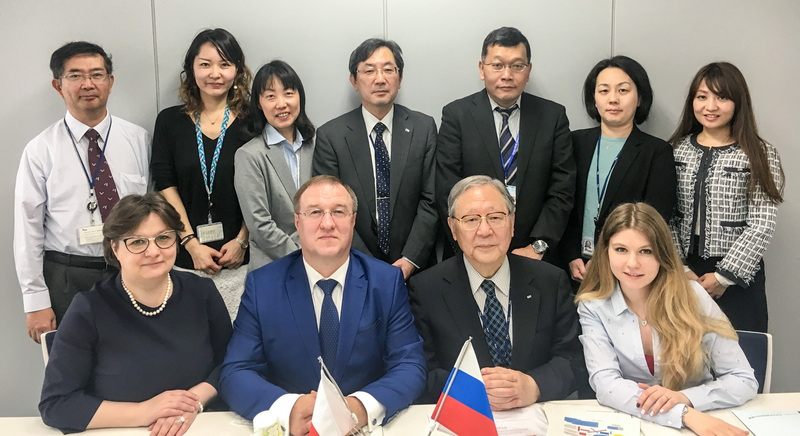 April 2-4, 2018 the first visit of the Russian Inspectorate for Good Manufacturing Practices (GMP) to Japan will be held. 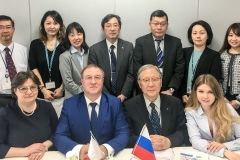 Representatives of the inspectorate will hold a series of meetings with their Japanese counterparts in the framework of the implementation of professional cooperation on GMP inspections. 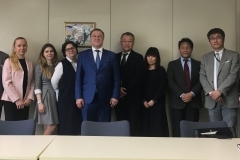 On April 2, Tokyo will host a private meeting with the Japan Pharmaceuticals and Medical Devices Agency (PMDA), where participants will exchange information on the principles of inspectors’ work and discuss joint inspections and training programs. An open meeting will also take place on April 3 with representatives of the Japanese business – the Japan Pharmaceutical Manufacturers Association (JPMA). On April 4, the inspectorate will arrive in Toyama Prefecture, where there will be official meeting with Toyama prefecture and the Kyukyu Pharmaceutical Co production site visit. The Inspectorate will be represented by Deputy Head of the Russian Inspectorate, Director of the FSI “SID & GP” of the Ministry of Industry and Trade of the Russian Federation Vladislav Shestakov and Head of the Department for Inspection of the Production of Medicines and Expertise of the FSI “SID & GP” of the Ministry of Industry and Trade of the Russian Federation Natalia Chadova. “Japan has a developed regulatory system. Our colleagues, as well as us, pay due attention to details, which allows us to check for compliance with GMP at a qualitatively high level. The Russian GMP inspectorate complies with the norms and rules of countries with a well-developed regulation system: we are striving to create a trusting image of our inspectorate and access to the international arena. The mechanisms and conditions for inspections, of course, differ. It is impossible to copy the system of another country – we need an exchange of experience, a discussion of the existing zones of development and interaction. This will positively affect the quality of inspection. We are strengthening the international cooperation of regulatory organizations, and this can contribute to the development of the export potential of both countries”, – said Vladislav Shestakov, the head of the delegation.